Dear Residents! 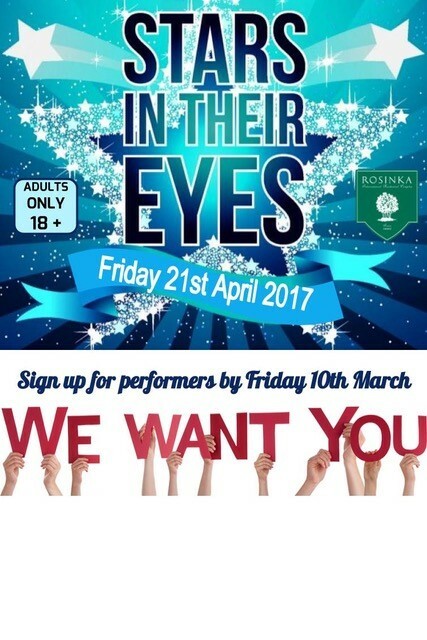 ROSINKA NEEDS YOU! Could you perform as a famous pop group? 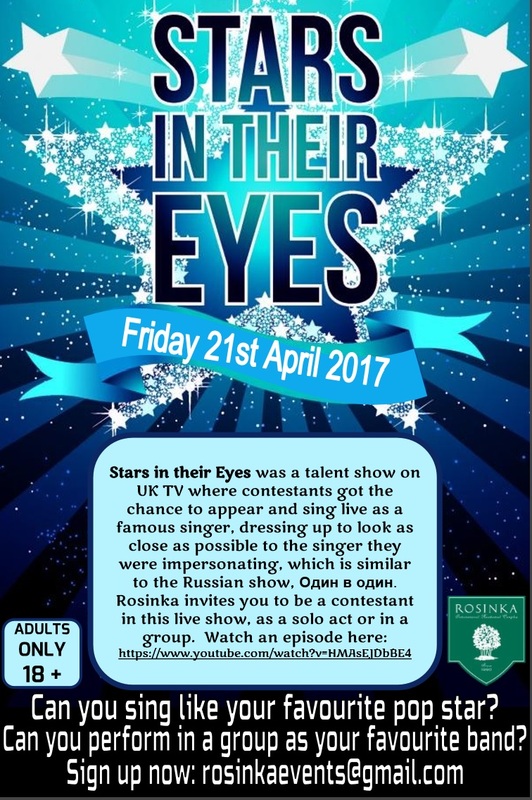 As you are all are naturally talented performers with proficient experience in performing in front of a crowd, I urge you consider taking part in Rosinka's 'Stars in their Eyes' event on Friday 21st April in the Rosinka Conference Hall. An act with your talent and calibre would add so much value to the event. You would get your entry ticket, all drinks (beer, wine & soft drinks) and food for FREE for performing on the evening!